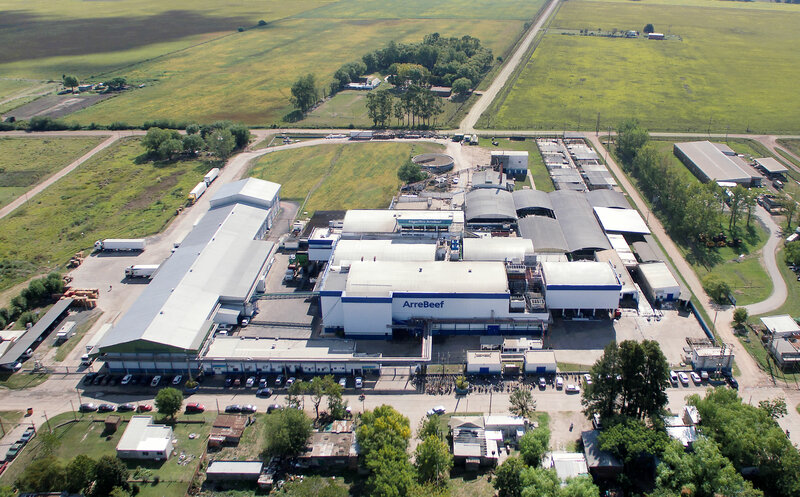 Our main meat-packing plant is strategically located in the largest agriculture and livestock area in Argentina, 200 kilometers from the city of Buenos Aires and its port. 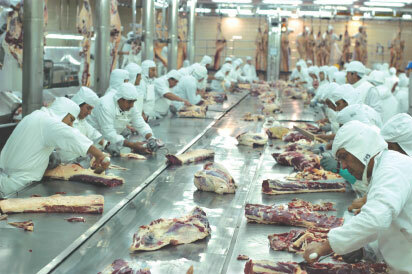 This plant has a surface area of 26,200 square meters and almost 1,000 highly trained employees work there, which makes it possible for all of the productive steps to be completed in the same place, from the animals’ slaughter to the final packaging of the products, thereby assuring maximum quality and health. We also have a cycle 2 plant located in Escobar in Buenos Aires province with the capacity to produce 400 metric tons per month. This plant is registered in the National Food and Agriculture Health and Quality Service (SENASA in Spanish) as official establishment number 1301. The president of ArreBeef S.A. defines its policy taking the commitment to spread it among the members of the Organization in order to achieve its compliance. Providing our CLIENTS harmless, safe and authentic products. Complying with the legal requirements of national and international markets. Considering the needs and expectations of all those involved in the commercial chain, from the supplier to the customer. Understanding that PERSONAL SAFETY is important and that all accidents can be prevented. Minimizing our IMPACT on the ENVIRONMENT, complying with legislation and preventing pollution, working towards reduction of waste generation, raising awareness and involving staff and our suppliers. Being LEADER in national and international markets, working towards CONTINUOUS IMPROVEMENT and evaluating the impact of our processes, maintaining competitiveness and business ethics, ensuring compliance with the Code of Ethics. Promoting the fulfillment of Human Rights throughout our value chain. Developing our processes ensuring that are established under a sustainable and/or maintainable framework.